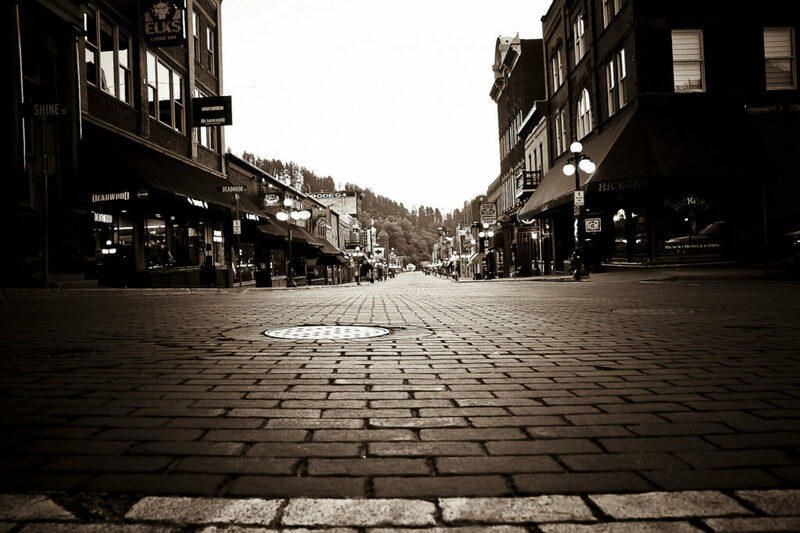 When the first South Dakota Festival of Books was held in Deadwood October 3-5, 2003, my attention was caught by articles in the newspapers that tried to explain the concept. I did not attend that first Festival, even though I had written poems in my school days. I was still too caught up in the struggles of my day job as a rancher. The second Festival of Books in 2004, was in Sioux Falls, mainly at the downtown Holiday Inn. I attended—alone—not knowing anyone. I had no idea what to expect. I had just resumed writing poetry of my own, after a “dry” spell of 30 years or so. At the Festival, I went to the room holding the poetry track. I ended up staying through the day and listened to all the poetry sessions. The format then was the same as now, about 30 minutes of reading by the poet and then 10-15 minutes of Q & A. Patrick Hicks was the moderator through most of the day. He did a superb job. The audience numbered anywhere from five to twenty, a fairly sparse turn out. Listeners seemed frequently puzzled about what poetry was or was becoming. This piqued my interest, as I was intent on communicating with my own writing. I went to the next Festival at Deadwood and heard poets read their own words in their own voices. I found that being in close proximity to these poets gave me a window into the creative process that I too, as a budding poet, was beginning to discover. I became aware of a creative/writing loop within myself that was fed by being with other poets. For most of my life I had the concept of writers/poets being somehow strange, not me. Well, they were not strange. Instead, they were very much like myself, wanting to describe the world within and without, with words, no different than a photographer who wants to record and share the beauty and wonder that lies all about and within us. I began writing more, and found myself becoming more involved in South Dakota’s poetry world. Currently, I’m President of the South Dakota State Poetry Society, and have been volunteering for quite a few years at the poetry track of the SD Festival of Books. This year the Festival will again be held at Deadwood. I’m happy to note that with each ascending year since the first Festival of Books I attended in 2004, attendance of poetry sessions has grown. I’ve heard great poetry. Even more importantly, I’ve met some of the most interesting, creative, warm people at these events, both poets and those participating with their presence. I warmly invite you all to come to the South Dakota Festival of Books in Deadwood, September 22, 23 and 24. Most sessions will be at the Deadwood Mountain Grand. On the second floor you will find a large vendors’ room with many tables pertaining to writers and writing. South Dakota State Poetry Society will have three side-by-side tables. One table will be mine, which I am sharing with Mary Black Bonnet, who has an excellent new book. The Dakota Women Poets will have a table, as well as a special reading event Saturday evening, September 23. This group is honored to include Norma Wilson, Christine Stewart Nunez, Jeanne Emmons, Barbara Duffy, Melinda A. Obach, Marcella Remund, Darla Biel and Lysbeth Rasmussen. South Dakota State Poetry Society will have a table where you can see the opportunities we present, ask questions, and sign up for membership. Photo by Jennifer Kirkland, sourced via Flickr under a Creative Commons license.